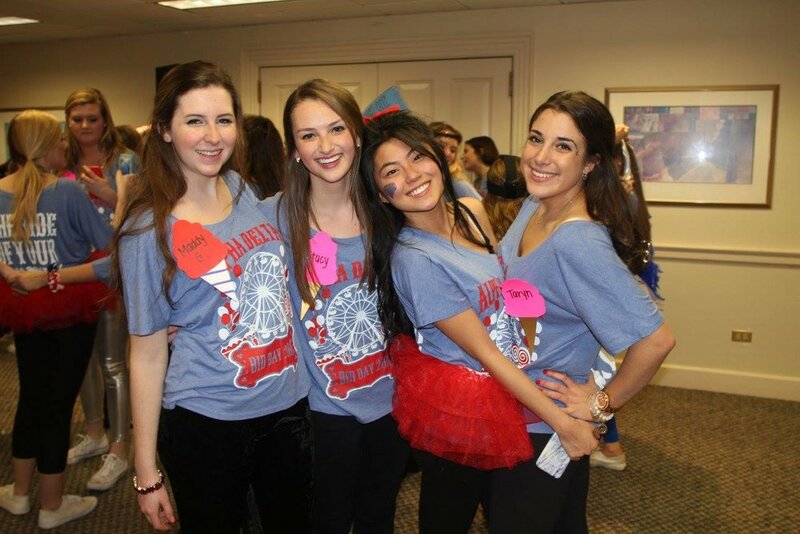 BU Formal Recruitment takes place every year at the beginning of the Spring semester. 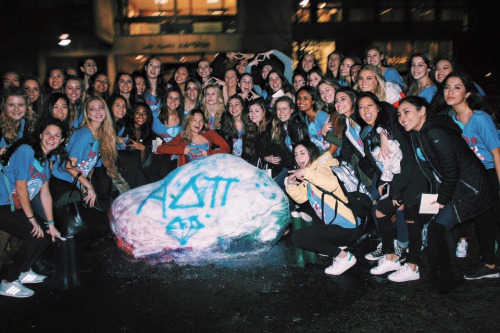 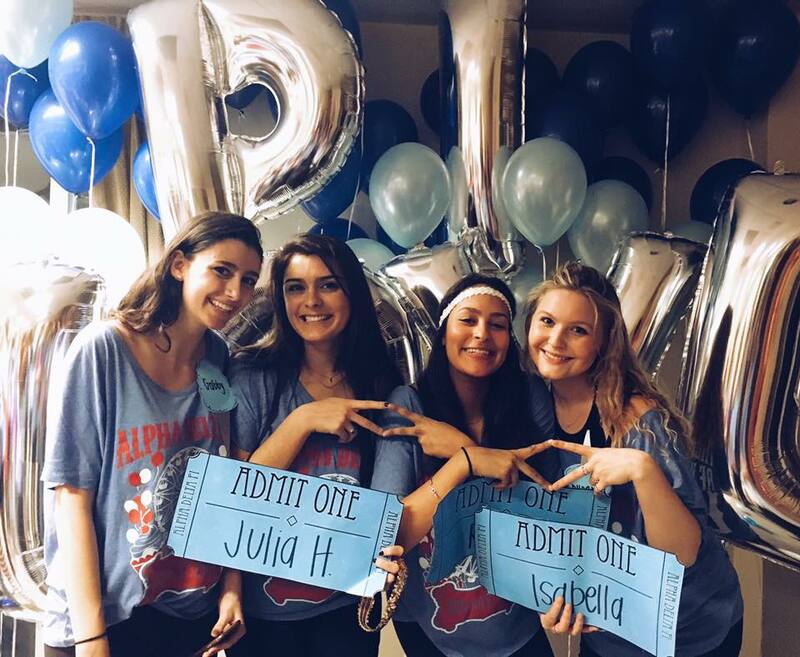 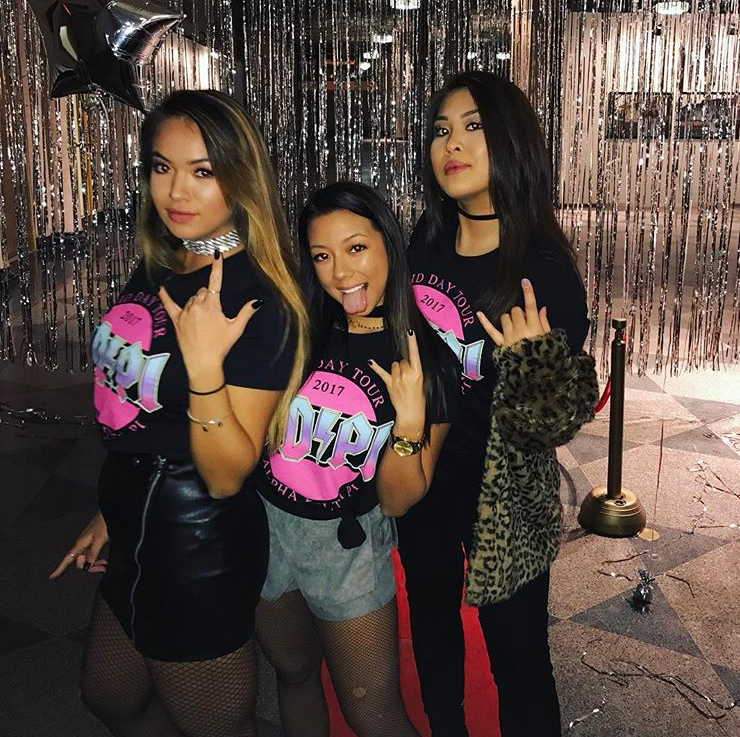 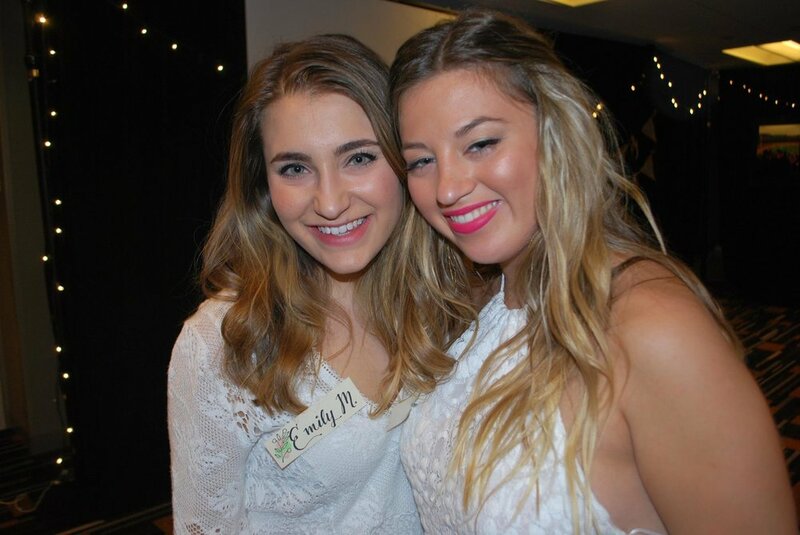 Formal Recruitment is held over the course of four days, during which Potential New Members have the chance to meet women from each of the ten Panhellenic sororities on campus. 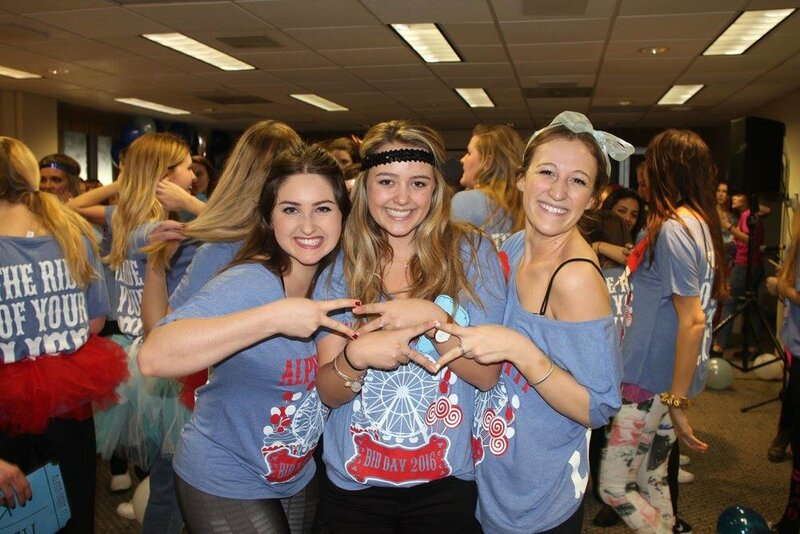 Our hope is that Potential New Members get to know us and our sisterhood as they narrow down preferences each day. 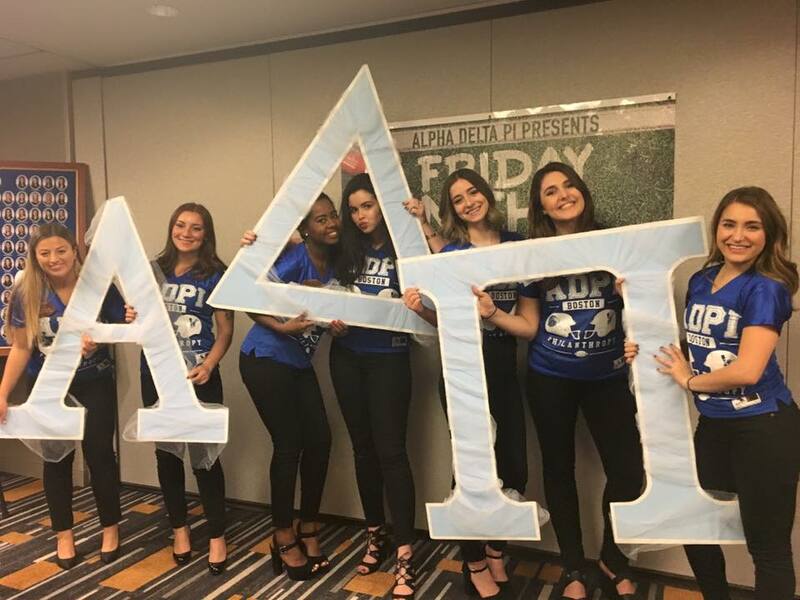 Formal Recruitment - Spring 2018 - will kick off on Friday, February 16th at the Marriott Copley Hotel in Boston. 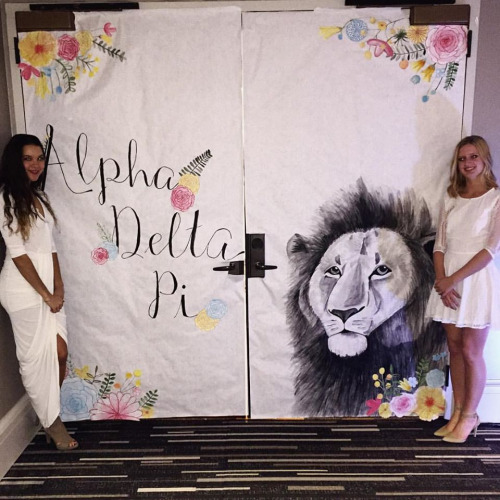 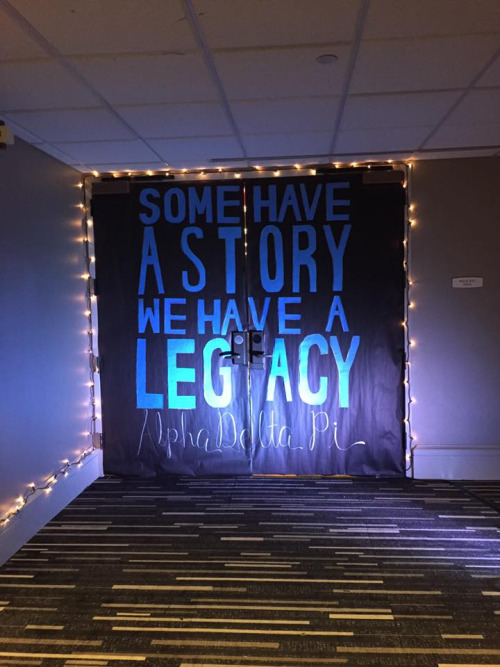 Night 1 gives PNM's a brief introduction to ADPi and to Greek life as a whole. 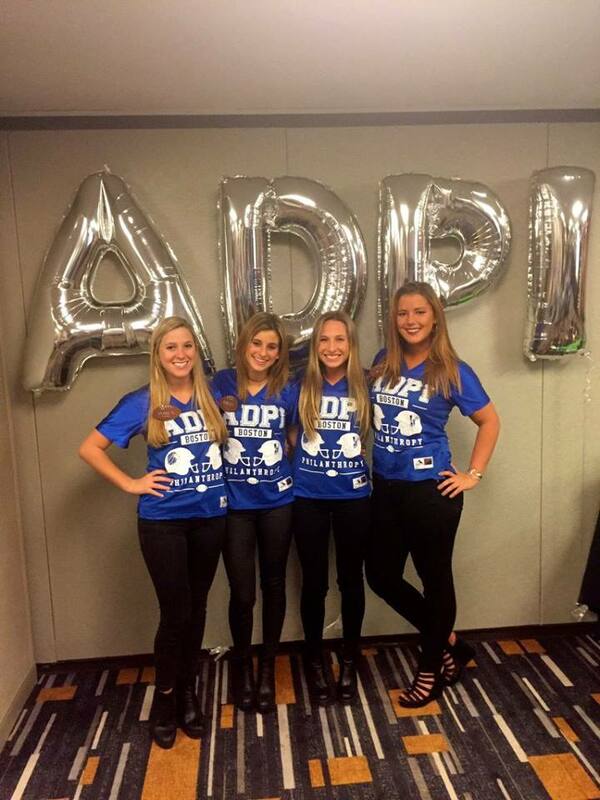 During Night 2, PNM's will learn about ADPi's philanthropy events supporting Ronald McDonald House. 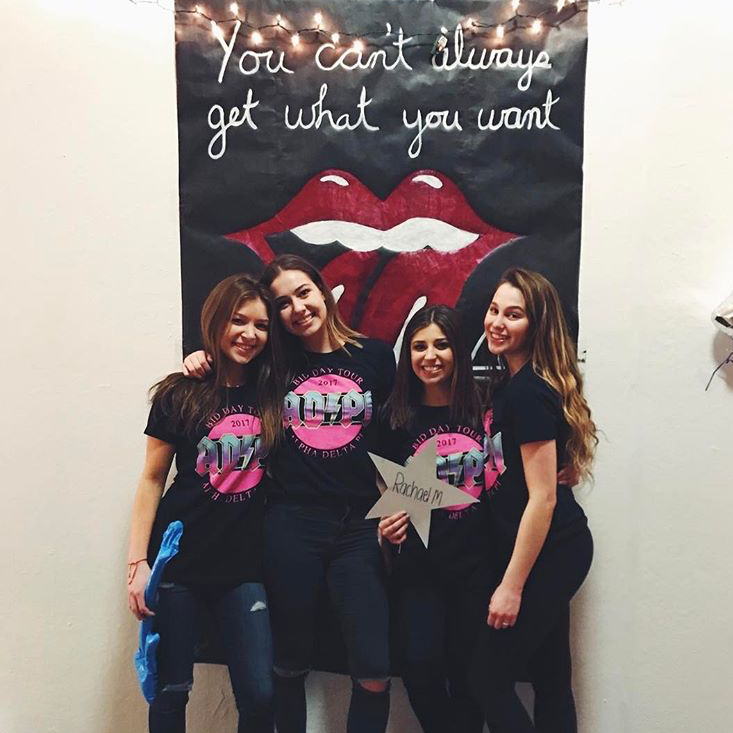 On Night 3 or Sisterhood Night, PNM's will have a longer time to talk with sisters and find out what it's really like to be a part of this sisterhood. 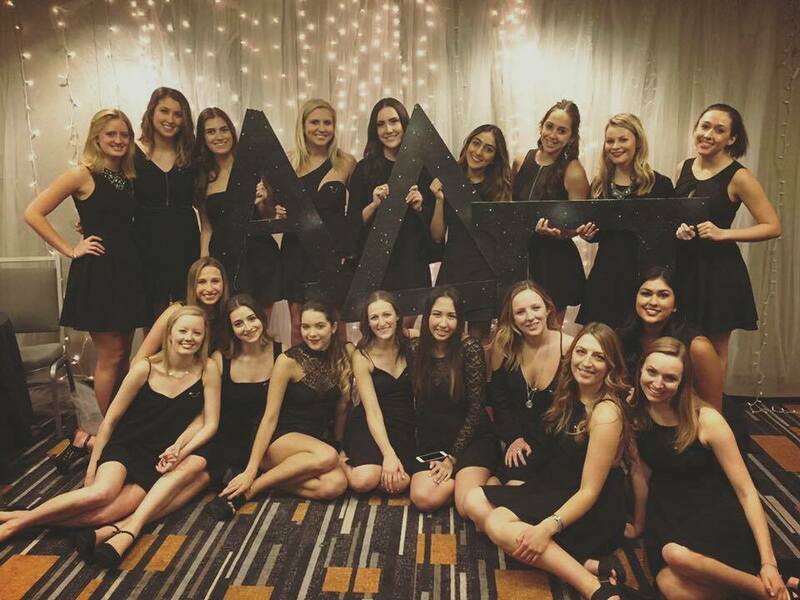 The final night is Preference Night, which is a time for PNM's to figure out which sorority is the best fit for them. 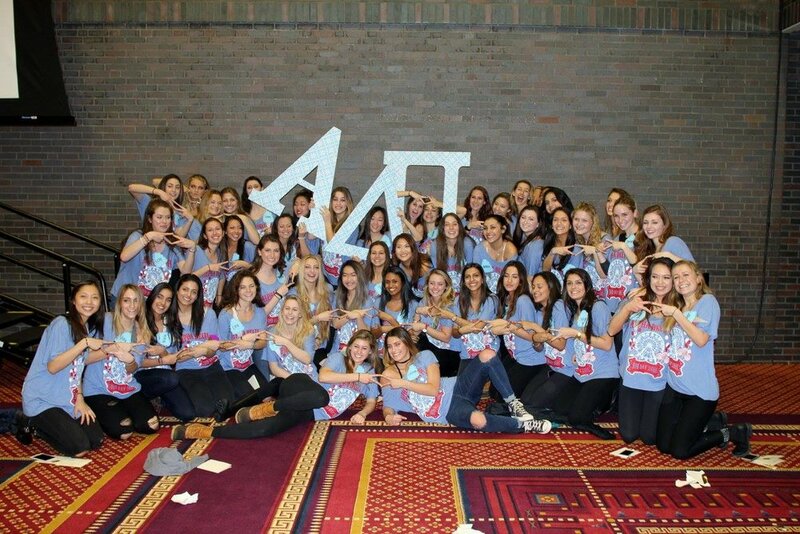 Tuesday, February 20th is the most exciting night...Bid Day! 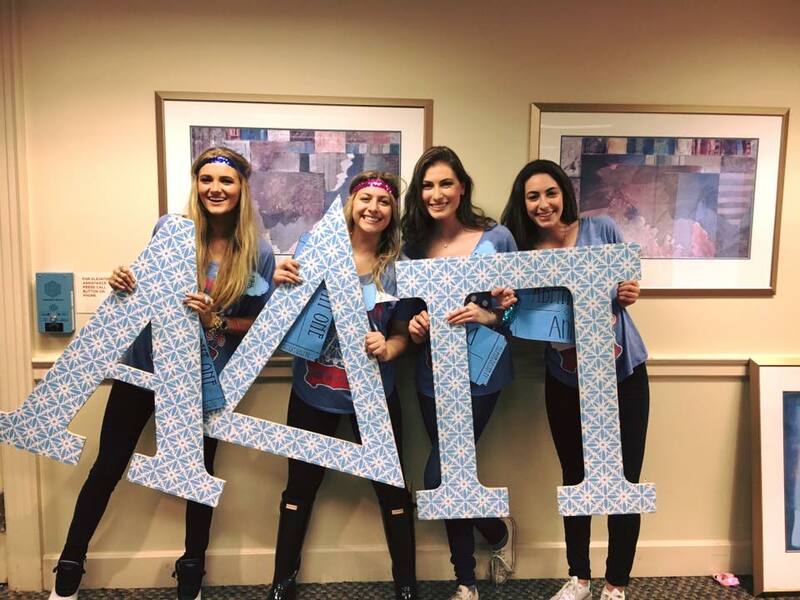 This is the night we look forward to the most because we finally get to welcome a brand new class home to Alpha Delta Pi!